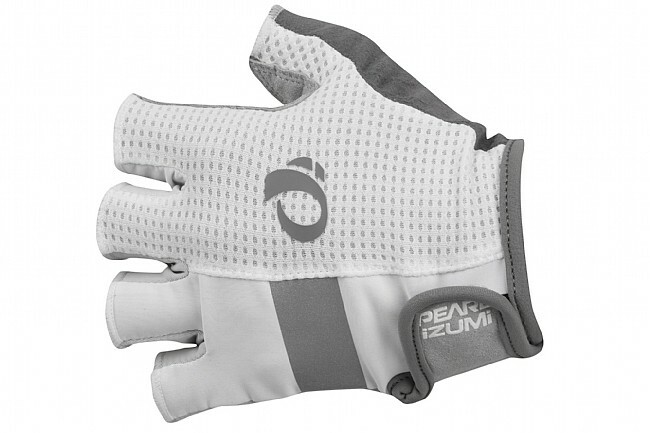 Pearl Izumi has updated their Elite Gel Glove for even better comfort. Specifically designed for riders who spend a lot of time in the saddle, this updated version features reduced seams and custom-molded gel inserts. Available in multiple colors. 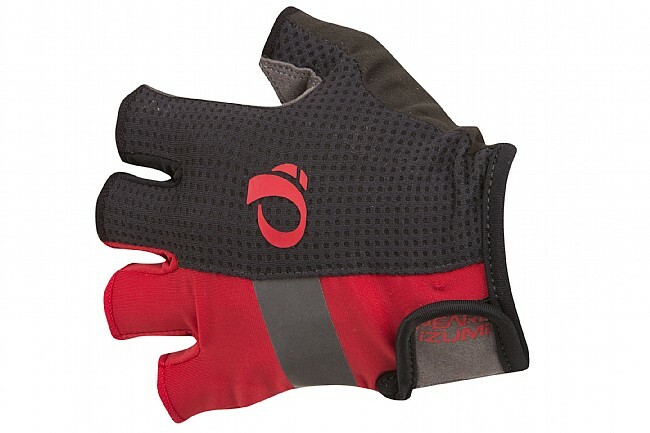 Most cycling gloves are great when they are brand new, but after a few washes they go down hill quickly. These are better than most, standing up to many dozens of washes quite well. The velcro is of high quality and has yet to stop sticking. 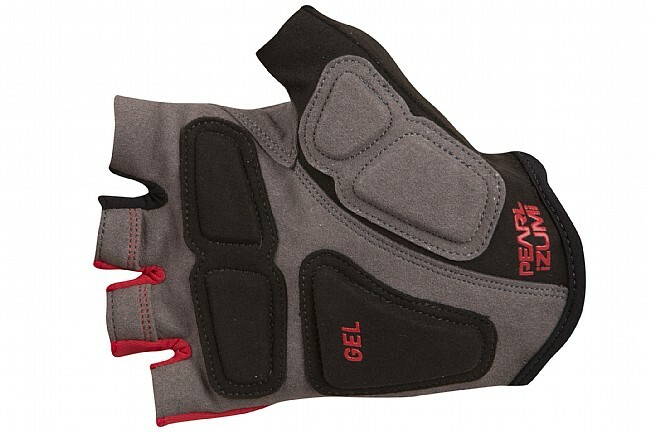 The gel is still gel, unlike many gloves I've had where the gel dries up and starts cracking. They fit comfortably with no pressure points. The only issue I've had is that the reflective tape on the back comes unglued and is only connected at the sewn seam. Otherwise, they have been great. Be careful with the black gloves on the first couple of washes. The black dye will leach out and into your other clothing. Wash with solid black apparel only for at least 2-3 washes. 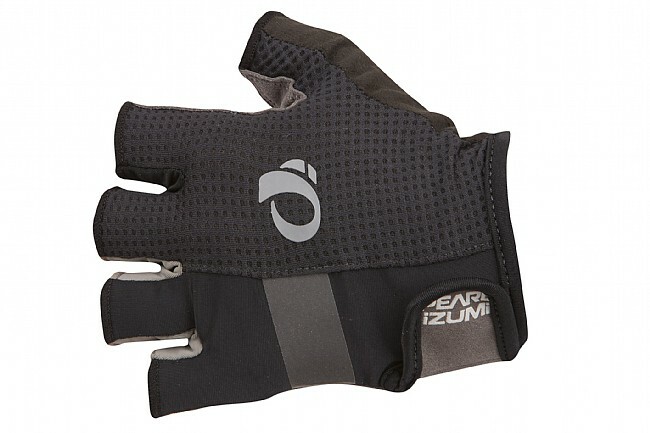 When you are out over 4K miles on the bike in an 8 or 9 month period, you are going to need great gloves and these fit the bill. All gloves are NOT created equal. Your hands are busy during a ride, so, give them and your associated nerves the comfort they need! Can't say they are better than any other gloves I have had, but they do look cool. Would not have purchased unless they were discounted, and that was a good call. Just short of a home run. Very well constructed. Most comfortable glove Ive owned. Love the design and materials, but thats expected from anything Pearl Izumi. The heat transfer reflective material came loose on my first ride, but I wasnt really looking for reflective properties anyway. I think it was just a fluke, but thats why I didnt give 5 stars. Price is up there, but worth it. They really do feel luxurious on my hands. The fit was spot on for me. Im not a small handed person. My hands are average, possibly slightly larger than average. I bought size large. Durable, visible reflective parts, just the right amount of padding. These gloves are comfortable right from the start. However, after a handful of rides, the strip of tape (reflective, I think) has come loose on one of the gloves. I may have to cut it off if it gets too annoying. This is my favorite glove so far and I don't have anything negative to say about it other than wait until a year or so to see if it'll stay in shape like my giro glove or wear out like my specialized. I like giro but wanted to try PI, something new, to see if it'll withstand the test of time. Red gloves. Nice color and matches some accents on the bike. My previous gloves had a leather palm. The padding appeared to have totally compressed. I would occasionally get numb hands. I am hoping these new gloves will help alleviate the issue. Even with fresh padding, I think gloves only go so far in that department. My issue is probably more my posture, etc. The gloves are comfortable. No chafe. No heat build up. Usual difficulties in removing the glove but two of the fingers have little grabber pockets to help you pull the glove off. Rarely use those grabbers so I don't tear anything. Sizing no abnormalities with sizing. Seemed a little tight at first but the stretch is fine. The ONLY gloves I will wear! 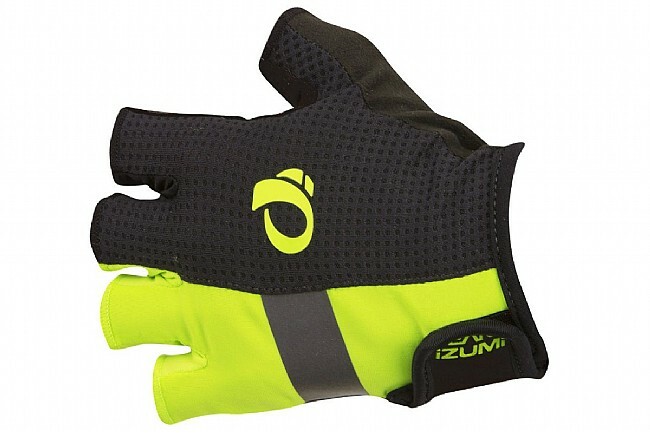 I've been wearing the Pearl Izumi Men's Elite Gel Gloves since before I bought my first road bike... Yes, that's not an error, I wore them as a mountain biker as well. But for ROAD gloves, they are the only gloves I will wear. I ride 5,000 miles a year in an area that lets me ride all year long. So I'm pretty hard on gloves. The Elite Gel Gloves are the most comfortable I've found and hold up well. Great gloves for those long rides to help keep my hands from getting numb, Also changed my handlebar to a compact 125mm drop, 80mm reach, silicone gel handlebar tape combine all these together and I get the best vibration dampening!! Also I ride all year long because of the weather in Hawaii! Great fit. Good cushioning. Comfortable. Gloves fit very well, and are true to size. Bought a medium, and the fit is very comfortable. Padding is where it needs to be, and there are no pinch spots anywhere on the glove. Nice value for the quality that you get.